It is appropriate to begin this post with a funny quote I used in yesterday’s post…. We all get that feeling once in a while. For me it never fails, as I am climbing up the basement steps the hair on the back of my neck stands straight up and the thought that there is someone or something standing behind me, makes me speed sprint the heck out of there. Here is our mission: scare those monsters away. How? 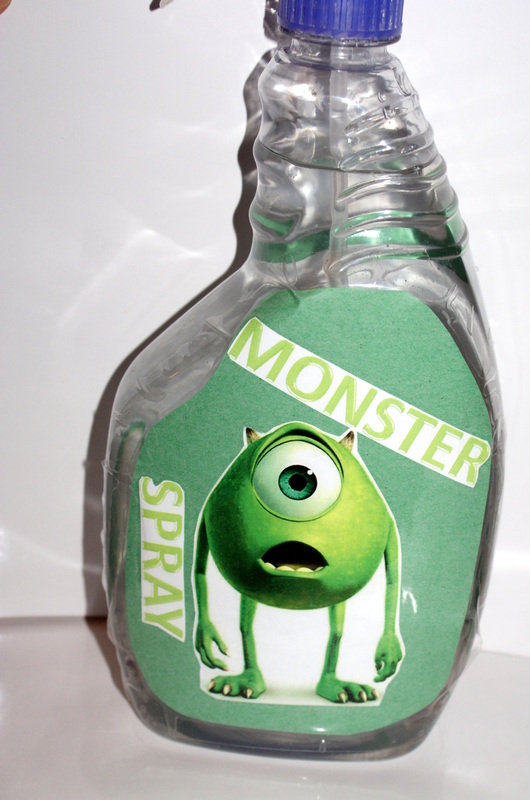 Why Monster Spray of course!! I got the idea from Sherry at YHL (she is one creative cookie) – she is working on transforming their spare room into their little one’s big girl room. 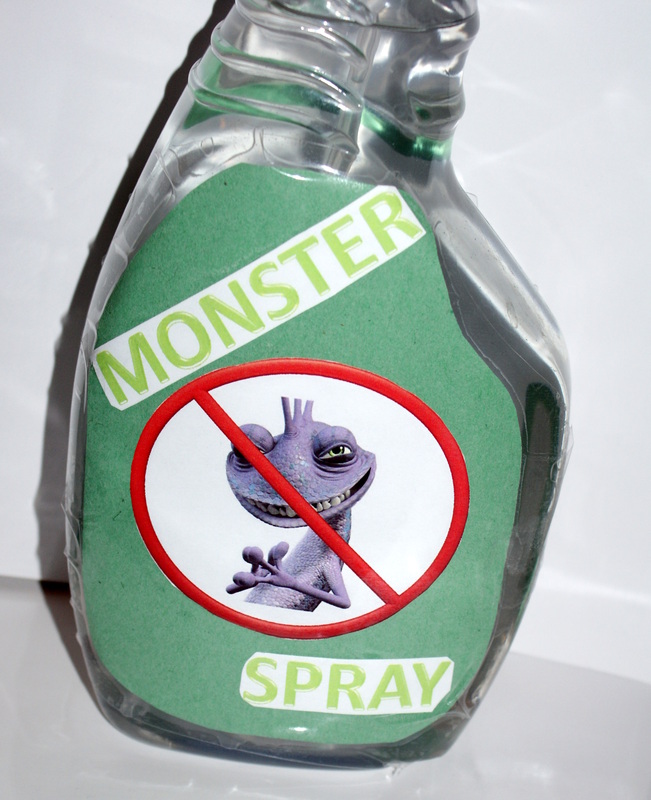 Any who, one comment led to another and she suggested I try some ‘Monster Spray’. 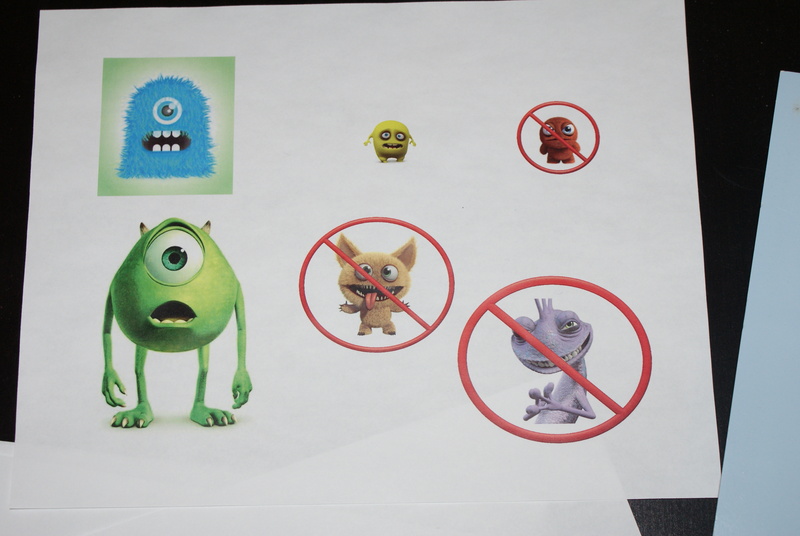 So here it goes…..
First thing I did was look for some images (on bing) of cute and non-threatening monsters. Next I took two clean spray bottles, one large and one smaller bottle, and rinsed them out throughly. 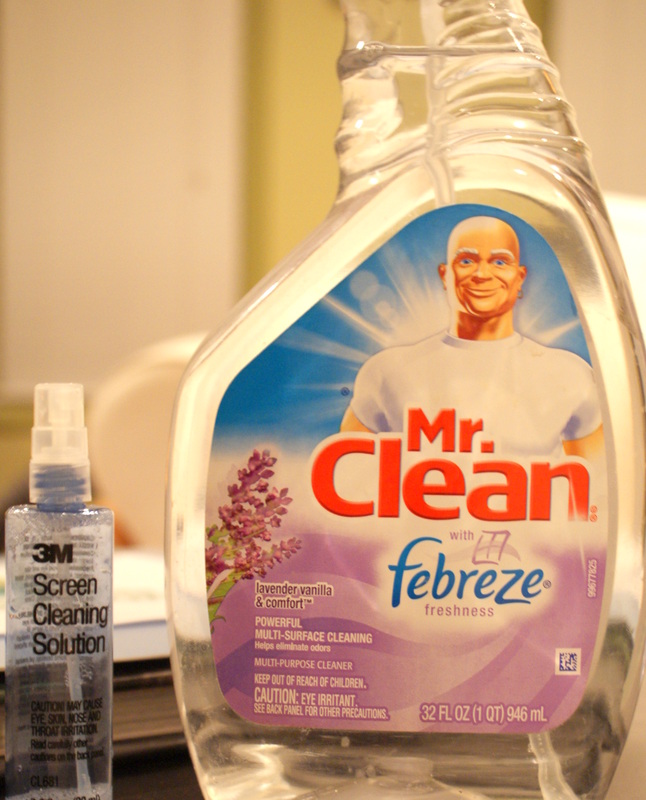 The larger spray bottle is to spray the entire room. The smaller one is just the right size so he can keep it tucked under his pillow (perfect for those middle of the night emergencies). Here comes the fun part – decorate the bottles. I cut out green paper to go over the Mr. Clean labels (front and back) and then added the wording and pictures. 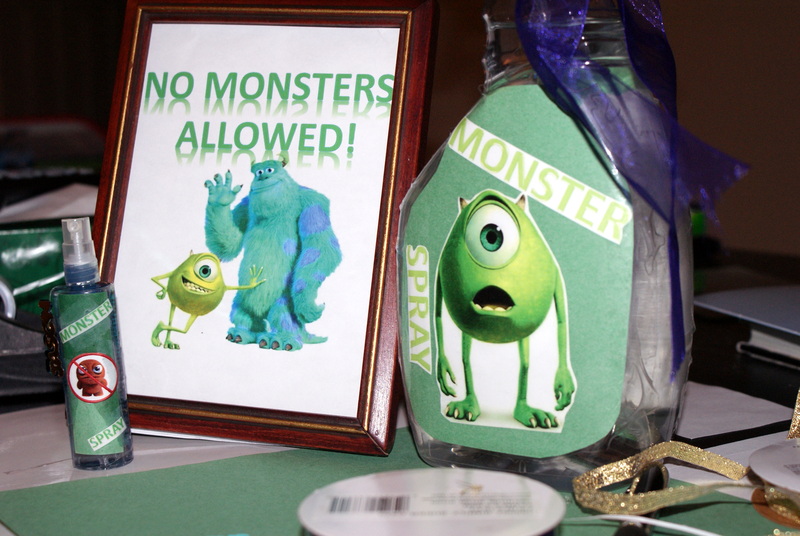 Secure pictures to the bottle so there is no denying that this is legit monster spray. To make sure there wouldn’t be any tearing or pealing, I used laminate paper to fasten the labels onto the bottles. And I did the same with the smaller bottle. Next fill the bottle with water, being careful not to get it on the label. I added just a touch of scented oil so that JBear could smell the difference when he sprayed the bottle. And since it is just water, I didn’t worry about staining the carpet or bedding, so he can spray to his heart’s content. It isn’t anything fancy, but it has a catchy ring to it and is easy to remember, so it will do the trick. One final touch was to create a cute little sign for his door. This was super easy. 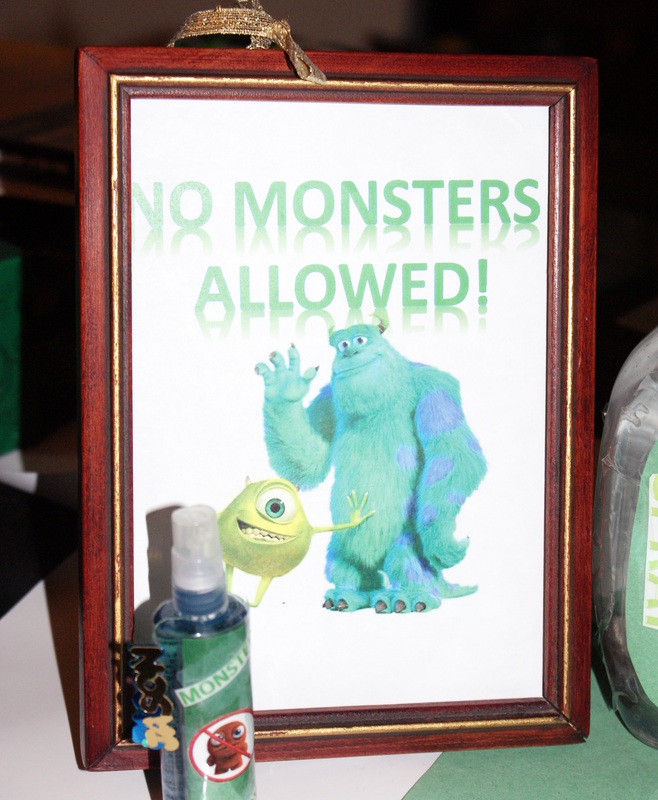 I printed off a cute image of monsters (that didn’t look scary at all) with the caption ‘No Monsters Allowed!’ There isn’t any glass in the frame so I am not worried about it breaking. Add a cute ribbon to the back and this baby can hang on his door knob. Last but not least, let your little one be in control. 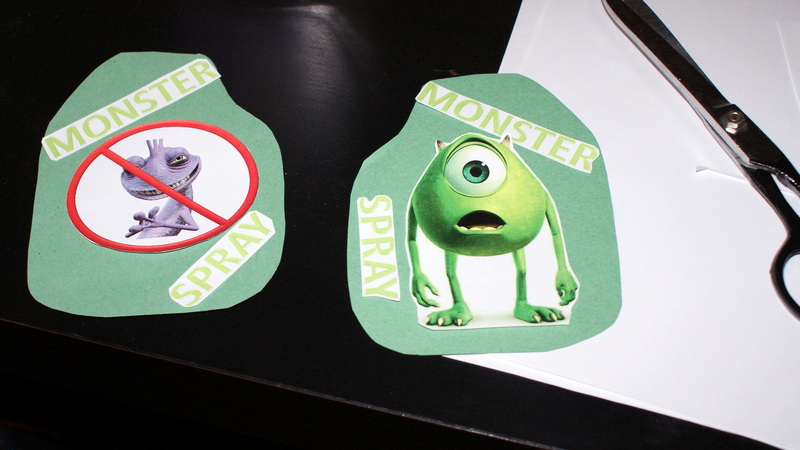 Give them the spray bottle and let them walk around the room spraying it wherever they think a monster may be hiding. Of course, I put all my crafty stuff away and then told him that it just came in the mail. 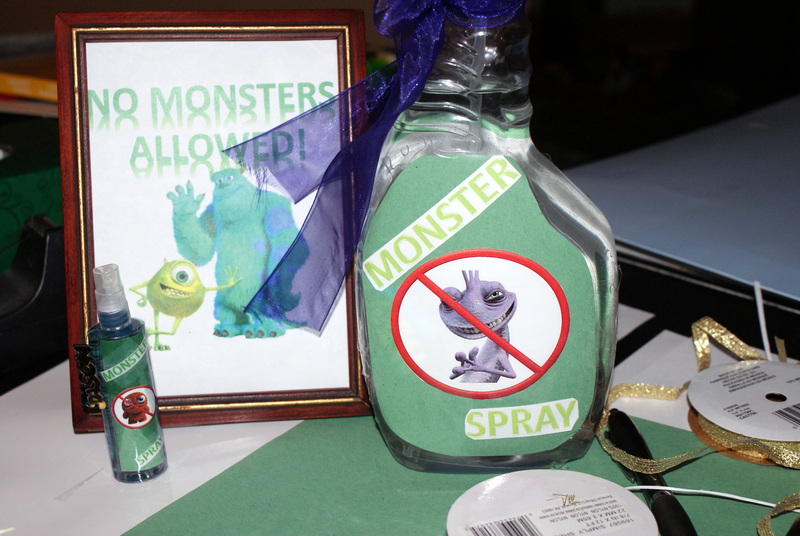 This entry was posted on Tuesday, January 22nd, 2013 at 8:44 am	and tagged with children, diy, family, home, kids, kids room, monster spray, monsters, no monsters allowed, pictures, power, rhymes, scared, sleep, yhl and posted in DIY. You can follow any responses to this entry through the RSS 2.0 feed. So cute and such a good idea! I got Ruby a book about monsters from the library for bedtime reading! Great idea, I know! Anyway, it hasn’t been too bad since it is about a Monster that loses his “M”/mean so now he’s just Onster and he’s got lots of new nice friends! This is such a great idea! I popped over from your comment on YHL to see the result. Glad it worked out for your little one. Thanks. I was actually surprised it worked so well. I thought he would see right through this little act but that wasn’t the case. Definately a neat little tip to keep in mind for later.